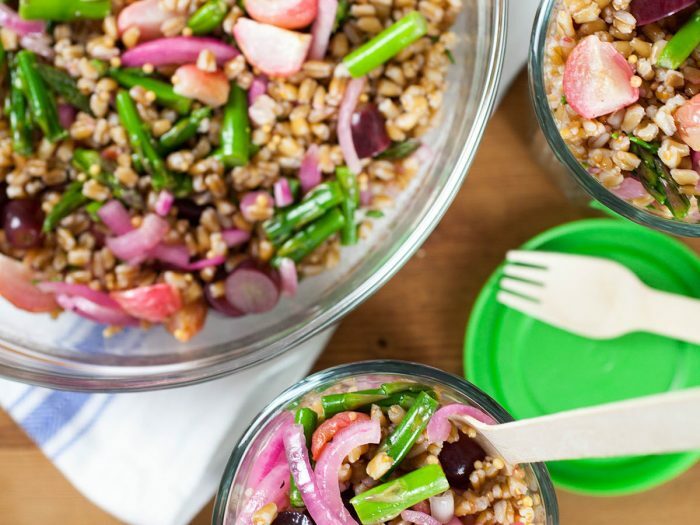 Roasted Radish with Farro and Pickled GrapesRoasted radish with faro and pickled grapes has a sweetened crunch and the lightly pickled grapes and onions make a perfect pair in this salad. By omitting the farro, you can make this dish gluten free. Adaptable for anyone at your Italian Table! 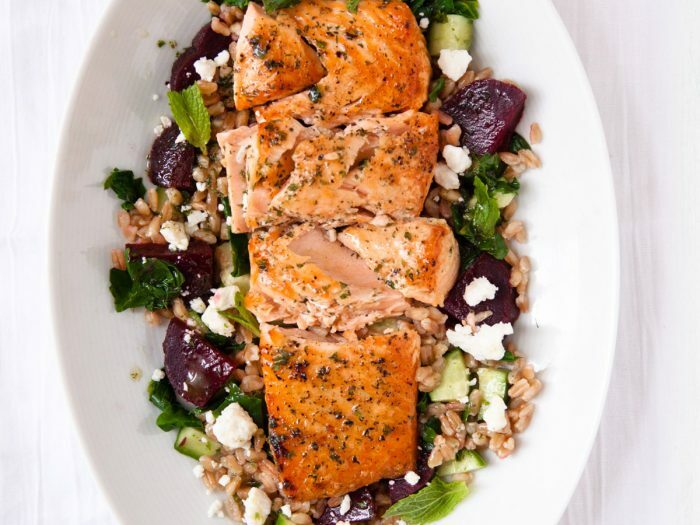 Farro and Salmon Salad with Beets and GreensFrom our SuperFoods collection, this recipe combines nutrient-rich beets with the great-for-you grain farro and omega-rich salmon. Top it off with a dressing of honey and mint for a truly balanced and heart-healthy salad. 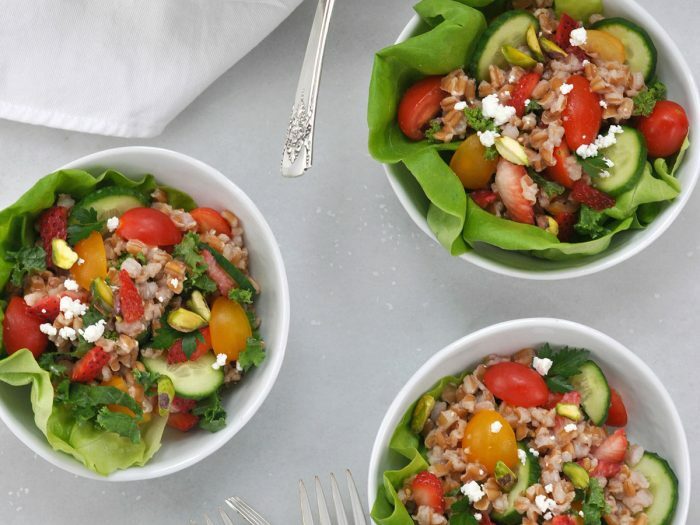 Farmer’s Market Farro Salad with StrawberriesThe traditional grain of the Mediterranean, farro is a hearty grain that was a mainstay of the daily diet in ancient Rome. 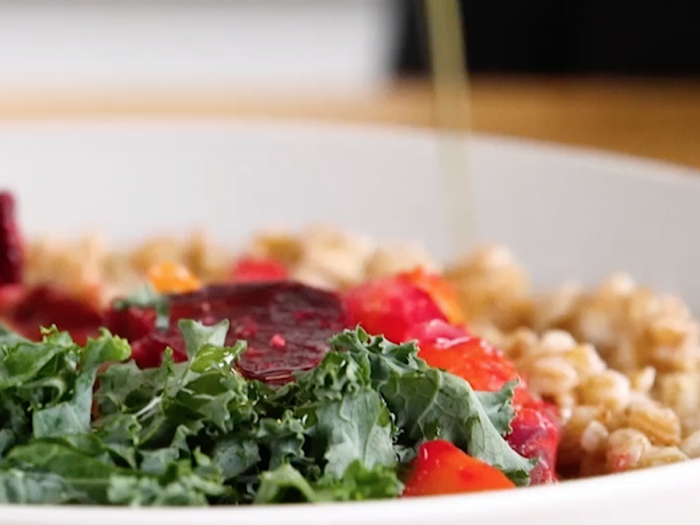 Its nutty flavor and chewy texture works perfectly in our Farmer’s Market Farro Salad that gets a delightful hint of sweetness from strawberries. 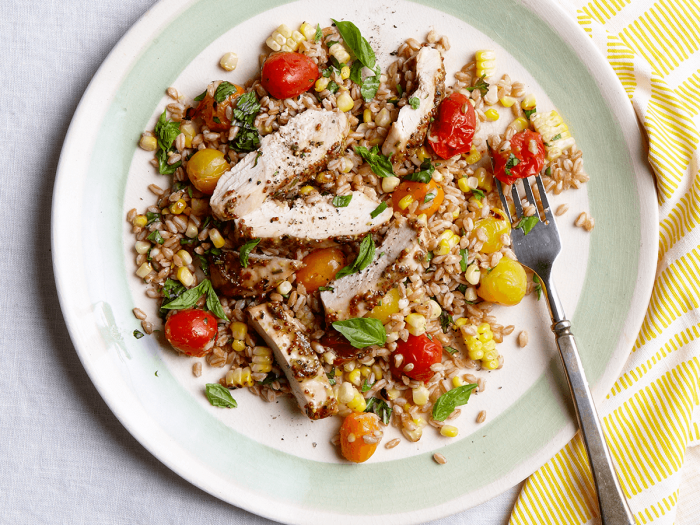 Summery Farro and Grilled Chicken SaladThis summery farro and grilled chicken salad is a great make-ahead dish for summer. Cook the farro a couple of days ahead and then toss with the chicken and tomatoes as they come off the grill. Porcini and Mozzarella FarrotoFarro can be cooked like risotto, following the same stir-and-absorb method. Serve this double- mushroom version as a vegetarian main course or as a side for a rich main, such as braised short ribs. Farro Salad with Artichokes and FennelRadicchio, fennel, cannellini beans, pine nuts, and artichoke hearts give this grain salad an Italian accent, and make it hearty enough to be a meatless main dish. It packs well, making it ideal for picnics or weekday lunches.